While we all are still mourning the great tragedy of Carrie Fisher’s death, those over at Disney and Lucasfilm now have the impossible task of finding a way to move forward with Star Wars without one of the stories key characters. 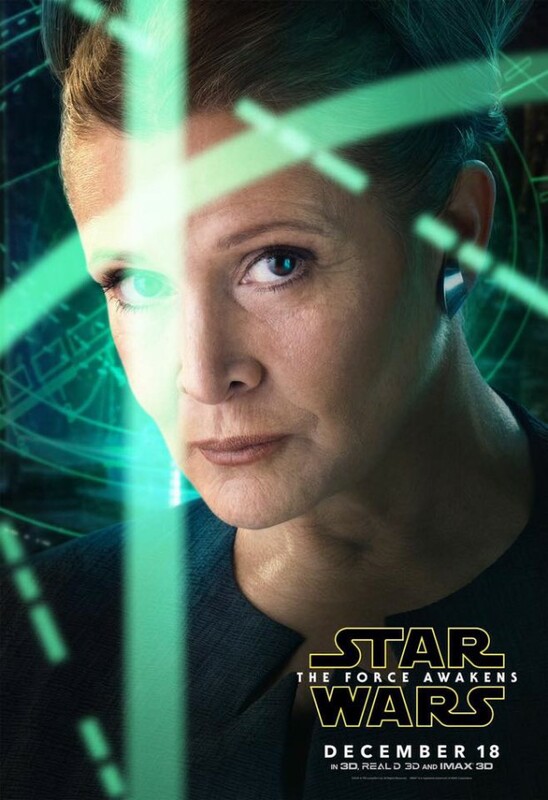 It was recently revealed that Carrie Fisher completed all her scenes for Episode VIII, which will see General Leia in a much larger role than that of The Force Awakens. And while it’s a long ways out, a new report claims that Episode IX was to see Leia in an even larger role. According to The Hollywood Reporter, Episode VIII and Episode IX will feature two very important scenes with Leia, one being the long-awaited reunion with her brother Luke Skywalker and the other being the highly anticipated confrontation with her son, Kylo Ren. The report doesn’t reveal which scene connects with what movie, but it would make sense for the story if the former was for Episode VIII and the latter is Episode IX, as we’ll finally see Mark Hamill’s Skywalker back in a prominent role in Episode VIII since 1983. Either way, the Star Wars braintrust now have some big decisions to make. As the report says, Episode IX director Colin Trevorrow came to L.A. this week to meet with Lucasfilm head Kathleen Kennedy (more than once) to figure out how to move forward with the story. The movie is still over two years away, which means it’s still pretty early in the process for Episode IX, but THR’s sources are telling them that Trevorrow’s Episode IX would have featured a larger role for Leia than Rian Johnson’s Episode VIII. And if true, that’s an obvious tight spot for the decision makers. With the film being nearly three years away, it leaves a good amount of time for Lucasfilm to figure out a solution. With Rogue One currently in theaters, the popular option seems to be recreating the character through CGI. Lucasfilm and director Gareth Edwards were able to recreate both Peter Cushing’s Governor Tarkin and Fisher’s Princess Leia from 1977 via CGI. So they certainly have the resources that are capable to do so, but would resurrecting her so soon be the right thing to do? Another option would be cutting her scenes and/or writing her out altogether, which has quickly not become a fan favorite. THR notes that Lucasfilm isn’t a stranger to doing so, as both The Force Awakens and Rogue One had extensive rewriting and reshoots to rework the story and outcome of certain characters. And although the film is still a solid eleven months away, Episode VIII has already gone through a major rewrite. Director Rian Johnson had to rework his script after J.J. Abrams made some significant changes deep in the post-production stage for The Force Awakens, changes we had no idea about until far after its release. As I said, the above solution has not gone over well with fans across the world. Not only does Princess, now General Leia mean a hell of a lot to the Star Wars franchise, but more importantly, Carrie Fisher does. She is one of the main reasons we fell in love with these movies so long ago, and cutting her out completely known that she completed plenty of future screen time, it would be a disservice to not just the fans, but her close family and friends. But truthfully, all-in-all, this all doesn’t matter at this point, as many, including myself, are still grieving. Sure, at some point we can wonder, but Carrie Fisher wasn’t just a character, she was a passionate, fearless, intelligent, strong, inspiring, and just flat-out wonderful person, and she will deeply be missed.